Action records was a specialist soul record label started by John Abbey in 1968 and distributed by Island records. The first release was "Give me One More Chance" by Wilmer & The Dukes. Click on view image of Wilmer Alexander (on right) to see a larger image and read the caption. Over the next two years the label issued 57 singles and 12 LP's; today all are very much in demand. Whilst some had previously been issued on other UK labels many were new, many soul gems litter the Action catalogue. It also featured a handful of Blues artists like Buddy Ace and Eddie 'Buster' Forehand. The second single was "Competition Ain't Nothing" by Little Carl Carlton, which was a minor hit at the time. It is today very much in demand and very big on the Club scene. It is available on the Soul Satisfaction CD on MCA records. Many artist had more than one release on the label. 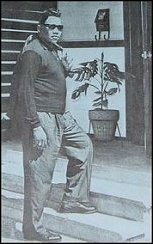 One such artist was Bobby Bland who had an extensive catalogue with Duke records in Houston Texas. He had four records released and none was finer than "Rockin' In The Same Old Boat" and the beautiful ballad "Share your Love with Me". This was originally issued on Vocalion VP9229 in 1964. A fine collection of his records can be found on the CD The Voice Duke recording 1959-69 on Ace CDCHD 323. The rare singles are "Baby I Need Your Love" by Bobby Williams. "Competition Ain't Nothing" by Little Carl Carlton. "That's The Past" by Brenda and the Tabulation also issued as an LP "Dry You Eyes". Gene Chandler with "I Can't Save It". The catchy "I Surrender" by Eddie Holman, which at around £25 is the most valued. It should be noted that demo copies are worth three time that of a stock copy. 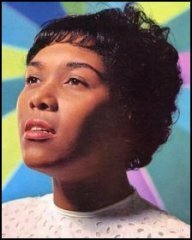 However, my personal favorite is Dee Dee Sharp and the upbeat "What Kinda Lady". 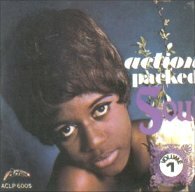 Check out the complete Action Singles Listing and the Action LP's in particular, the brilliant Action Packed Soul album which features many tracks from the Duke/Peacock/Backbeat/Sure Shot labels. Action Records was revived in the early seventies and remains very much in demand for the Soul collector.